A number of commercially available metal/metal oxide nanoparticles (NPs) such as superparamagnetic iron oxide (SPION) are utilized by the medical field for a wide variety of applications. These NPs may able to induce dermal toxicity via their physical nature and reactive surface properties. We hypothesize that SPION may be toxic to skin via the ability of particles to be internalized and thereby initiate oxidative stress, inducing redox-sensitive transcription factors affecting/leading to inflammation. Due to the skin’s susceptibility to UV radiation, it is also of importance to address the combined effect of UVB and NPs co-exposure. To test this hypothesis, the effects of dextran-coated SPION of different sizes (15–50 nm) and manufacturers (MicroMod, Rostock-Warnemunde, Germany and KTH-Royal Institute of Technology, Stockholm, Sweden) were evaluated in two cell lines: normal human epidermal keratinocytes (HEK) and murine epidermal cells (JB6 P+). HEK cells exposed to 20 nm (KTH and MicroMod) had a decrease in viability, while the 15 and 50 nm particles were not cytotoxic. HEK cells were also capable of internalizing the KTH particles (15 and 20 nm) but not the MicroMod SPION (20 and 50 nm). IL-8 and IL-6 were also elevated in HEK cells following exposure to SPION. Exposure of JB6 P+ cells to all SPIONs evaluated resulted in activation of AP-1. Exposure to SPION alone was not sufficient to induce NF-κB activation; however, co-exposure with UVB resulted in significant NF-κB induction in cells exposed to 15 and 20 nm KTH SPION and 50 nm MicroMod particles. 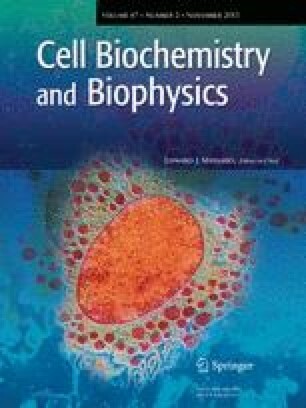 Pre-exposure of JB6 P+ cells to UVB followed by NPs induced a significant depletion of glutathione, release of cytokines, and cell damage as assessed by release of lactate dehydrogenase. Altogether, these data indicate that co-exposure to UVB and SPIONs was associated with induction of oxidative stress and release of inflammatory mediators. These results verify the need to thoroughly evaluate the adverse effects of UVB when evaluating dermal toxicity of engineered NPs on skin. This work was supported by NIOSH OH008282, NORA 927Z1LU and the 7th Framework Program of the European Commission (EC-FP-7-NANOMMUNE-214281).